When the sweetest bride ever came to me looking for the perfect suite that included hand-lettering, floral paintings & gold foil..my first thought was...is this real life, immediately followed by YES PLEASE!! Amber & Matt knew they wanted their wedding suite to have a modern chic meets classic glam vibe with a bold & playful twist. 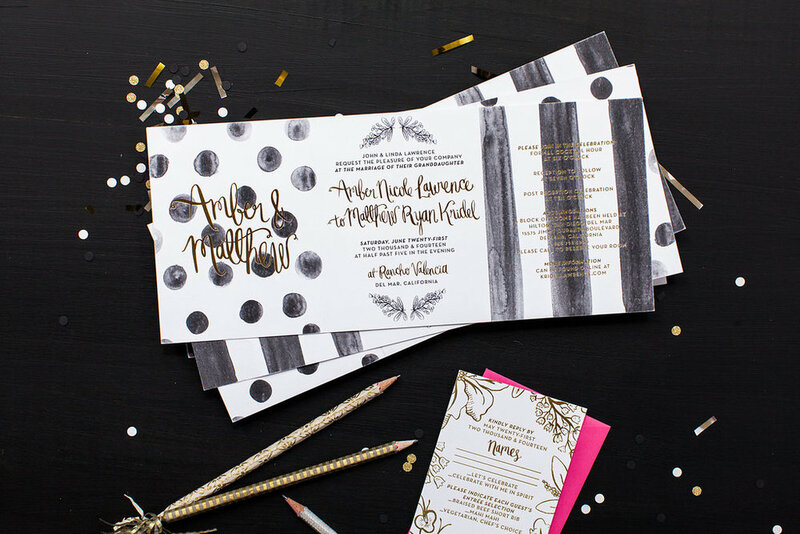 Their 3-panel, fold-out invitation included original watercolor patterns, gold foil stamping & hand-lettering! 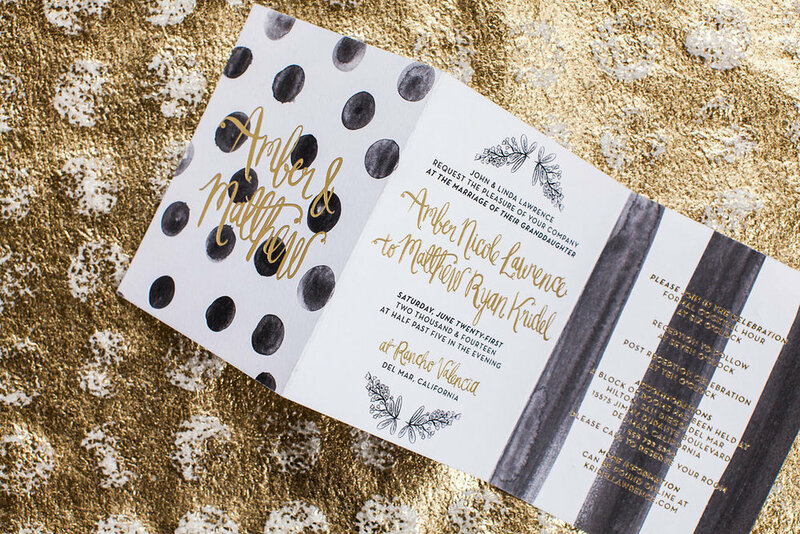 Even their invitation envelopes were hand-lettered & had gold glitter liners...& yes each one was so amazing. 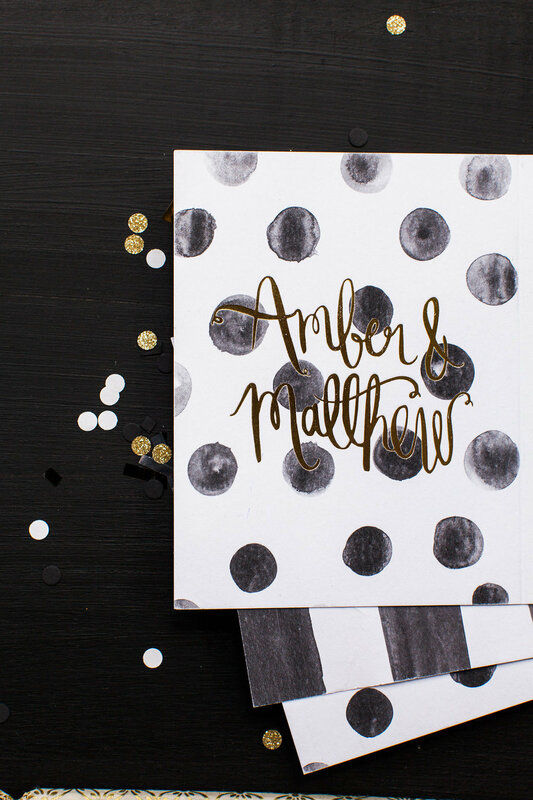 Programs with gold kazoos, gold foil coasters & die cut circle menus wrapped up the rest of the suite with a pop, clink & a fizz! Yippie!